Extensive engineering eventually brought relief from these disasters. 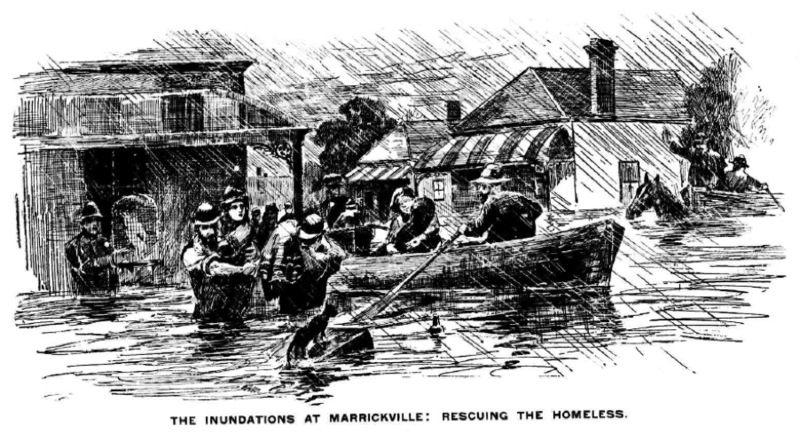 Stormwater drains, a major sewerage pumping station and removal of the Cooks River dam reduced the severity and frequency of flooding. Local aldermen fixed on plan to transform these flooded flats into a busy manufacturing centre. Council held an exhibition in 1922 to promote its vision and attract some of the best industries of the State, including one can’t help thinking, General Motors. Read about these manufacturing aspirations at the 1922 Exhibition for yourself.